Now that the Holidays are over, do you feel like you have more clutter than ever? Do you find you are struggling to find space for all the new gifts you’ve received? Do you have wrapping, packaging, and cards coming out of your ears? 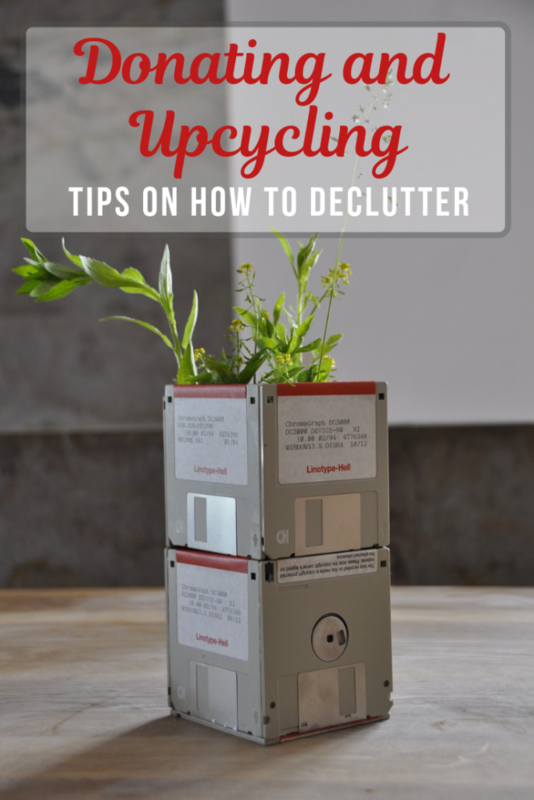 Now might be a good time to get rid of all the clutter and start the new year afresh. We don’t want to just throw everything in the trash though, so what can we do with it? 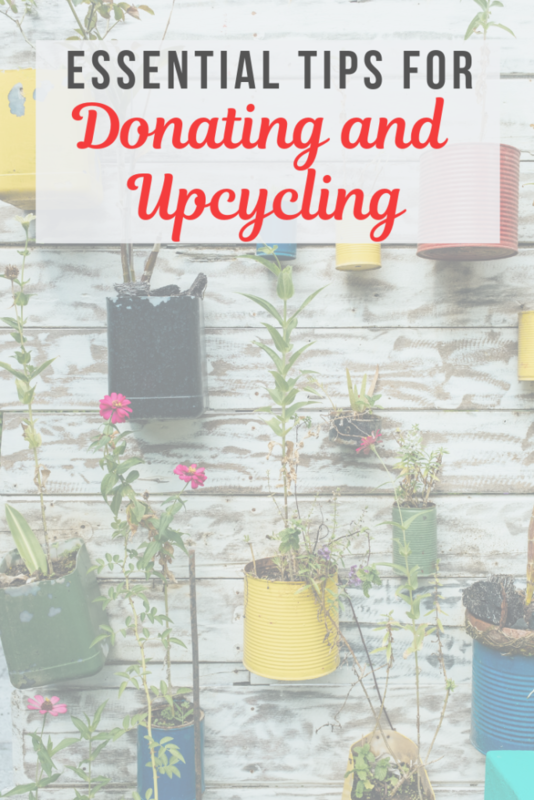 Read on for some great tips on donating and upcycling your unwanted items so they don’t end up in a landfill! I think most of us are familiar with the concept of recycling. You may have recycling collection where you live, or even take yours to a local recycling station. This could be for anything from paper to glass, plastic to metal. It feels good to do this, knowing that we are doing our bit to help the environment. But is this enough? Sadly, not everything can be recycled, and many things do still end up either being buried in the ground or finding their way into the ocean and damaging wildlife. The main culprit is plastic, as many types are non-recyclable, and it isn’t biodegradable. It wreaks havoc on our environment. There are many things we can do to try and reduce the amount of plastic in our everyday lives. Plastic bags from grocery stores are a big problem, but we can start to solve this by refusing to use them and carrying our own reusable shopping bags. Many stores also offer paper bags, which are much more eco-friendly. We can avoid using plastic water bottles by using our own refillable bottles. 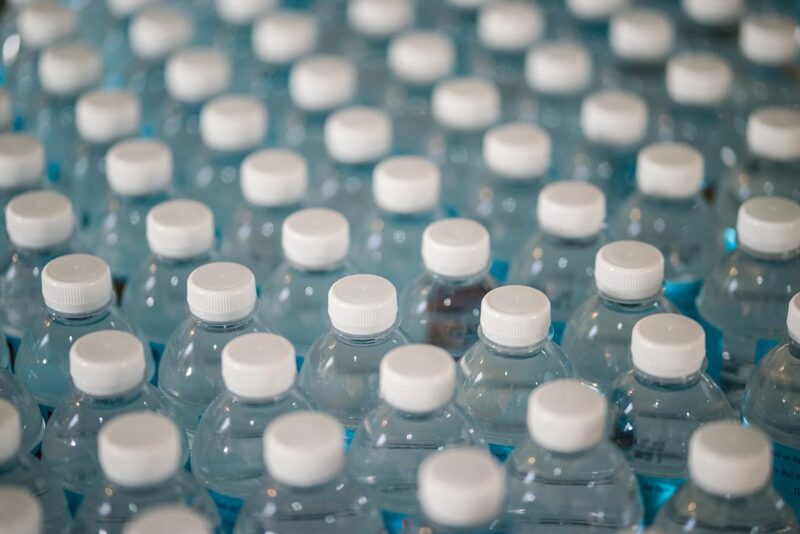 These days many restaurants, bars, and shops will happily let you fill your bottle with water to save you buying plastic bottles. These are just a couple of ways we can try to cut down, but plastic continues to be a big issue. There is likely to be a huge amount of waste and unrecyclable plastic for a long time to come. Surely there must be something we can do in the meantime to help. It might sound like a new and trendy concept, but upcycling has actually been around for many years. Upcycling is the process of transforming waste and unwanted products into new and often better things. Sounds pretty cool right? Whereas recycling involves breaking products down and then making them into something new, upcycling is about refashioning the product into something even better and more useful than it was before simply by using our imagination. So better for the environment than just recycling it. During the war, people would have no choice but to upcycle as they had very little money, the shops were bare, and they would have to make do with what they had by being thrifty. Nowadays, people living in poorer countries tend to upcycle and make things out of whatever they can lay their hands on, like weaving baskets out of tires or some other discarded plastic. Unfortunately, these days we have just become accustomed to buying everything new whenever we want it, without thinking about the consequences. There are endless ways that we can upcycle, we just need to get a little creative. Almost anything you can think of can be upcycled into something new. You can make jewelry out of buttons, turn glass bottles into lights, socks into puppets, credit cards into guitar picks, suitcases into side tables. The only limit is your imagination! If you need a little help, just type ‘upcycle’ into Pinterest and you’ll find tons of inspiration. This is an especially great way to make use of all the plastics that are not recyclable. Instead of it ending up in the trash, we can make things that will continue to be used. We will be giving it a new life and having fun in the process! Another great idea is repurposing all the Holiday cards we receive. Sure, they can be recycled, but this involves energy and water and the end result may not be nearly as nice. Why not make them into something new and better that you can continue to use? Make sure you have kept a record of any contact information, and then you can get creative. They can be made into gift cards, placemats and bookmarks, just to name a few. 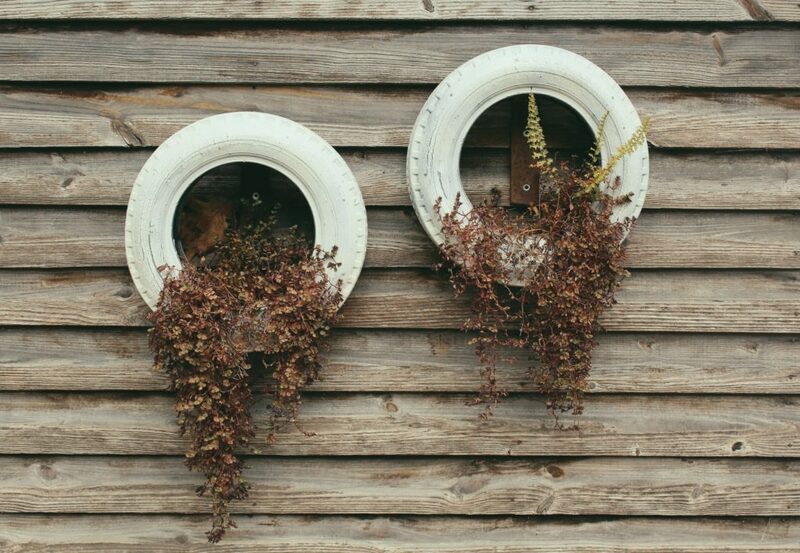 Check out the site ‘She Tried What’ for some great upcycling ideas that will also help with organization in your home! There are many organizations that are becoming involved in upcycling, either by offering fun classes or selling repurposed products. Workshops such as these offered at Lou’s Upcycles are a fun way for kids and adults to get creative and make new things from waste products. In one workshop, you learn how to fuse plastic bags and wrappers with an iron, creating a new textile to make pouches, pencil cases and wallets. Not only are you helping the environment, but having fun and learning something new in the process. If you aren’t the creative type, then don’t worry – you can still do your bit to help. There are companies that sell upcycled products already made into something new and useful. Hipcycle has a wide range of fun things to buy that would make great, eco-friendly gifts. For example, glasses made out of corona bottles, fun and brightly colored coasters made out of spirals of paper. Etsy is another great source of upcycled products. There is something for everyone! 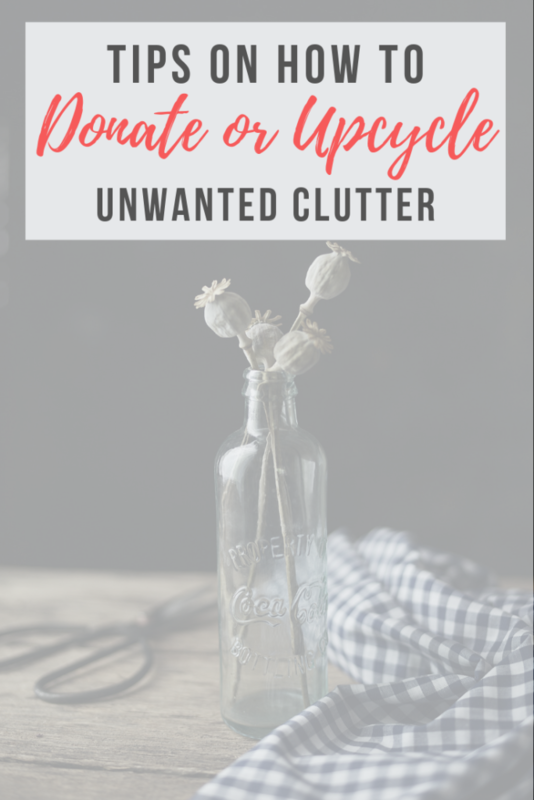 Another option for getting rid of clutter, assuming it is in very good condition, is donating. Something that is trash to you could well be treasure to someone else. A good place to start might be a closet, basement or garage. I think we are all guilty of hoarding too many clothes, and there are many people in the world who cannot afford to buy clothing. Why not blitz your closet, and make a pile of clothes that can be donated? 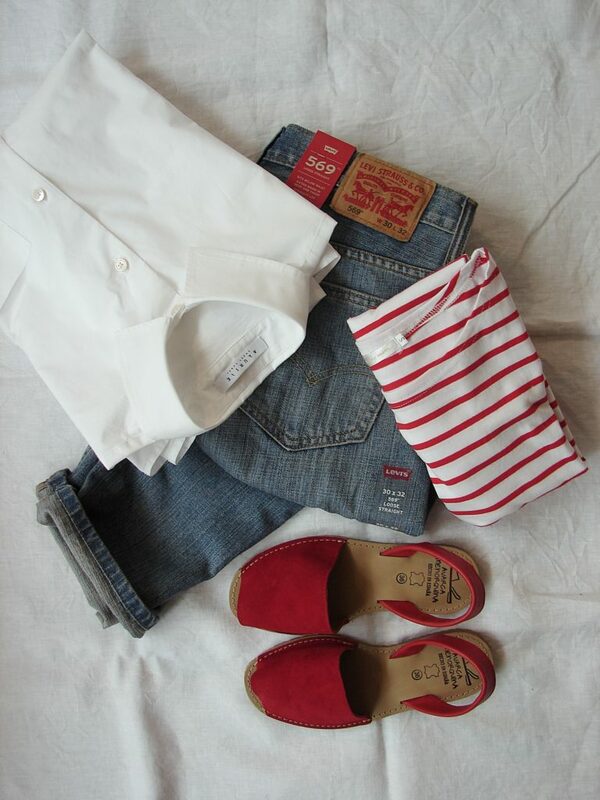 Read this Capsule Closet blog for some tips on how to approach your closet ‘cleanse’. There are many ways you can donate items, and many organizations you can donate to such as local shelters, places like The Salvation Army, and volunteer organizations such as St. Vincent De Paul. You’d be surprised what items can be donated and given to a good cause – from cars to kitchen cabinets. Habitat For Humanity ReStores are a good place to check out if you have large household items you need to dispose of – they’ll even collect, Be sure to get a receipt so you can claim a tax deduction for your donation! So there you have it, there is NO excuse for not helping the environment or helping those in need if you follow some of these donating and upcycling tips. There is something to suit everyone, whether you are creative or not. What are you waiting for? Get decluttering, start donating and upcycling and see where your imagination takes you. You can have fun and save the planet all at once!